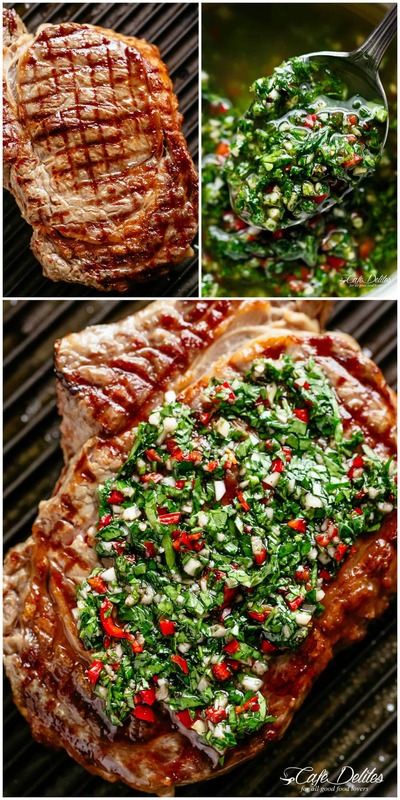 The best and easiest way to make Steaks with Chimichurri! Grilled or pan fried! 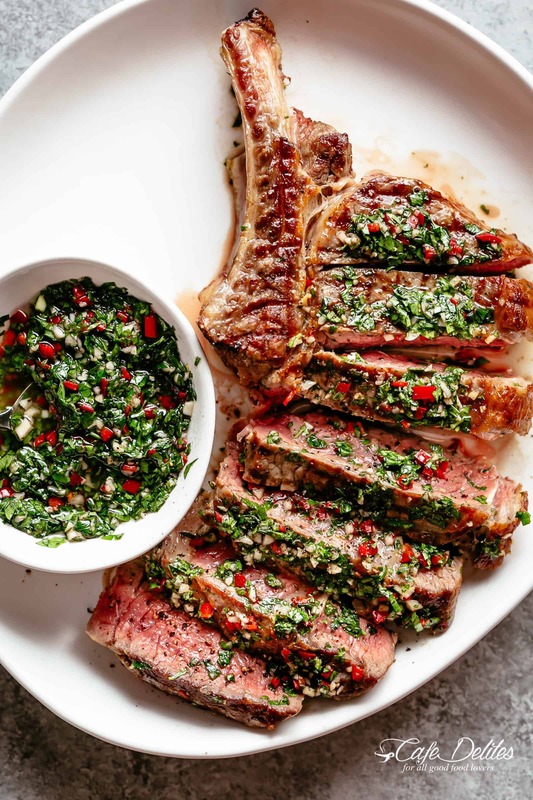 An authentic Chimichurri Steak recipe! 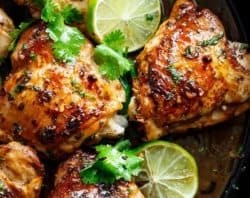 Chimichurri is the most delicious silky condiment that drips over your steak, chicken or fish. 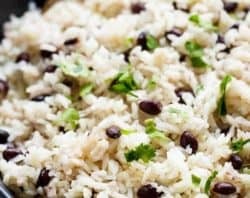 Super easy to make and tastes incredible! Made with simple, easy to find ingredients, this is how we cook our steaks with chimichurri in Uruguay/Argentina! Often times chimichurri is used to marinate meats before cooking, or used to baste meats while cooking. You can most certainly use it like that, but its real purpose is to serve it with your cooked steaks. The best way to enjoy a great chimichurri AND steak without ruining any of the flavours of each! There’s no marinading of any kind when dealing with steaks in the lower part of South America. We love our steaks seasoned with salt and a small drizzle of olive oil, then cooked medium-rare or medium on the grill or a good cast iron pan/skillet (also known as a Plancha). Juicy and tender is how we like it, but you can cook it the way YOU like it. 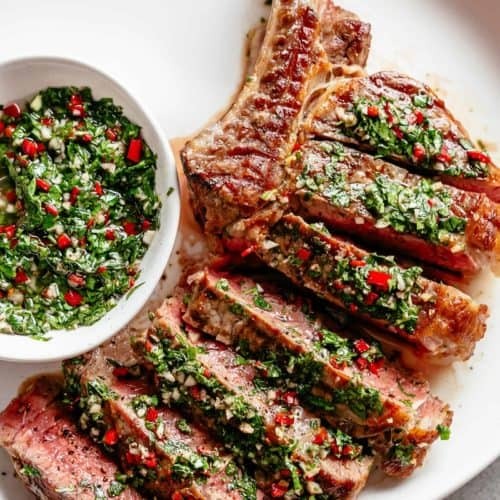 Serving steaks with Chimichurri guarantees a beautiful flavour no matter how you prefer your steaks. Rib Eye: Super juicy and tender due to its marbling. It’s best when cooked to no more than medium doneness, but can be cooked well done maintaining flavour and tenderness. T-Bone Steak: Two steaks in one! Tenderloin Filet/New York Strip Steak. If you like your steak cooked to a higher degree of doneness, this is a good cut to choose. New York Strip Steak: Succulent and buttery with less fat than a ribeye but almost just as tender. Best served medium-rare and can be cooked well-done. Asking my Uruguayan father what exactly is chimichurri, he firmly and passionately tells me it’s a loose oil-based condiment used to accompany barbecued steak or churrasco. If you like the strong flavour of garlic, use 4 cloves, If you like milder garlic, start with 2 cloves; mix it all in and allow to sit for a few minutes. Then, taste test. If you’d like more, add more. 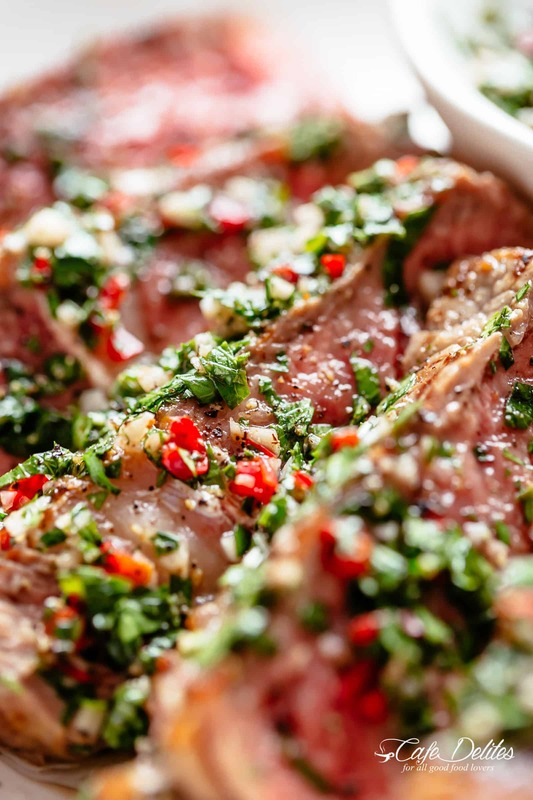 An authentic Chimichurri Steak recipe! 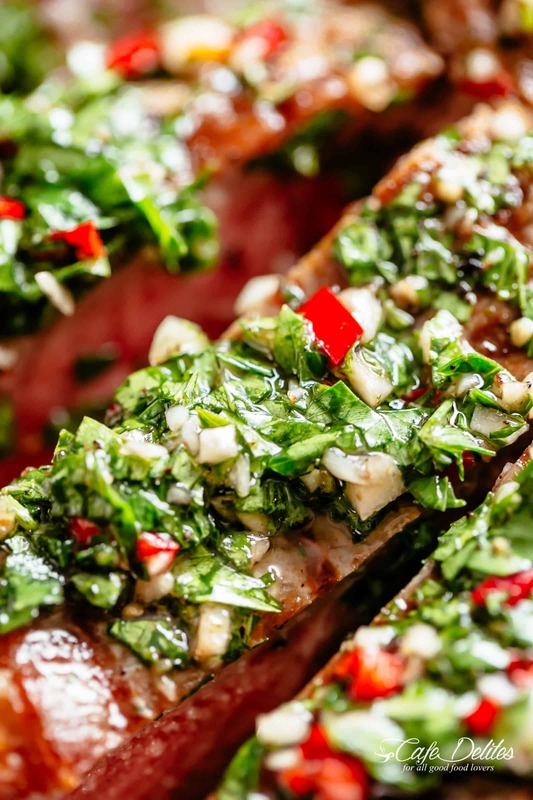 Chimichurri is the most delicious silky condiment that drips over your steak, chicken or fish. 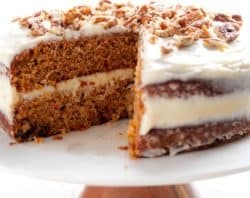 Super easy to make and tastes incredible! 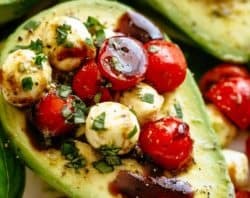 Made with simple, easy to find ingredients: parsley, garlic, red wine vinegar and olive oil. This is how we cook our steaks with chimichurri in Uruguay/Argentina! Season steaks with salt and brush with olive oil. Grill (or pan fry in a hot cast iron skillet or pan), over medium-high heat. Cook for 2-3 minutes each side for medium-rare; 3-4 minutes each side for medium; or 4-5 minutes each side for well done, depending on thickness. * Transfer steaks to a tray and let rest for 5 minutes. Serve chimichurri on the side in a dip bowl with steaks (about 2-3 tablespoons of chimichurri per person). Allow your guests to either dip their steaks in chimichurri or pour it over steaks. To test if the steak is cooked to your liking, press the centre with the back of a pair of tongs. The steak will feel soft when rare; slightly firmer and springy when medium, and very firm when well done. Chimichurri is a great sauce for steak. I’ve made my own Chimichurri, and I usually serve it with strip, skirt, and hanger steak. I’ve also found it to be delicious with lamb chops. 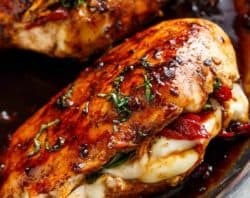 My wife has never liked chimichuri but she liked this recipe and so do I. Karina, why did your father use dried oregano? Wouldn’t fresh be much better? Unbelievably delicious!! Made this sauce to use with simply grilled salmon (salt, pepper & a few pea-sized pieces of butter) on the BBQ. Everyone loved it!! This is a keeper!! this looks Fantastic. 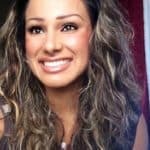 I am going to run to the store to get the ingredients and cook tonight for dinner. Any suggestions for side dishes? Amazing, love this sauce with a juicy sirloin and chips. I always add a bit of ghost chilli to give it a bit of an extra kick, can’t beat it! I am going to have to try this. 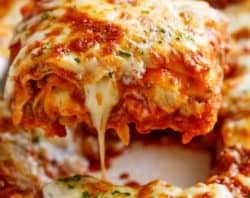 Just reading about it my mouth is watering!